Maunakea Between Earth and Sky is the signature show of the 'Imiloa Astronomy Center in Hilo. The Imaginarium is excited to present the fulldome show for the first time to Oahu audiences. 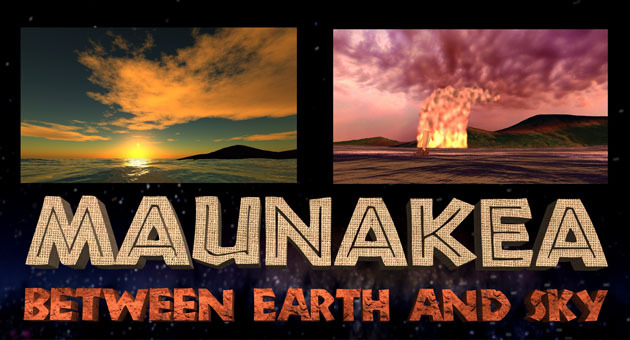 Explore connections between Hawaiian culture and Maunakea astronomy. Become immersed in the story of Pele and Poli`ahu and the creation of the Hawaiian Islands. Gaze into the night sky, past planets, galaxies and swirling nebula—back to the beginning of the universe—and fly through an observatory atop Maunakea.